Seeing the film poster of both Nora and Vilma’s indie films, we can’t ignore the noticeable similarites. Both seem to be – on the “move,” walking and in deep thoughts. And both were holding a “Bag.” Upon further research, Nora’s bag contained money that she didn’t own. And this is one of the main focus of the film. Will Mabuti, Nora’s character, return the money to the real owner or keep it for herself? Meanwhile, Vilma’s bag contained clothes. Clothes that she uses to several impromptu auditions. Will Loida, Vilma’s character, land that big break she’s been praying all her life, and eventually earn more money for herself and her daughter? Nora’s Bag – “…Initial reviews of Mabuti were positive. Nora was praised for her quiet and effective performance. She was praised for bringing something new to her long filmography, like her willingness to learn the Ilocano dialect. Her director even admitted wasn’t required when she initially accepted the project. It seems like she was willing to bring something new that even the well-praised Thy Womb didn’t bring out. That “something new,” that we haven’t seen before. Originally written for man, Nora’s character Mabuti, according to writer, Katrina Stuart Santiago, “…this film had technical problems, and I wish it took more care in rendering time and space as important aspects of storytelling. But most this film stands regardless, and that might be because of Aunor. Without her, it’s entirely possible that “Ang Kwento ni Mabuti” wouldn’t survive its own simplicity. Because not much happens in this story, but Aunor takes Mabuti’s character and makes everything happen for her.” The high expectation of “Mabuti” seem to be attributed to the critical success of “Thy Womb.” The later earned Nora several international trophies but the fact is, it failed commercially. Early projections seems to favor Mabuti commercially. The Noranians seems to be in high spirit as they attend the gala premiere of Mabuti and was blessed with the extension of the film’s screening for another week after its first week as part of the CineFilipino Film Festival. The pay out was that Mabuti failed to win Nora the festival’s most expected best actress award. The award went to a new comer, a child protege, named Teri Malvar. Initial prediction from a veteran columnist predicts a tight race for next year acting derby with both Vi and Guy fighting for the trophies with Lorna Tolentino for Burgos and Cherrie Gil for Sonata, all for their performances in indie films. Vilma’s Bag – “…Like Nora’s Mabuti, Ektra’s initial reviews were positive. Vilma was praised for her willingness to get demoglarized and her effective take as the an underdog role normally identified with Nora. The initial positive buzz of the film were ignored by Vi’s detractors and even with an unfinished film, early unfavorable articles were published highlighted with the news the films were rejected by the Cannes screening committee. Despite this setback, the film had its gala premiere on July 28 at the CCP, fans and supporters filled the bigger CCP venue. Ekstra went it momentous peak as Cinemalaya top grosser film and after a few weeks went on its commercial screening sponsored by Star Cinema. The film had its successful first week but the film did not sustain its strenght as typhoon hit Metro Manila. It seems like the rain will never stop, the whole country were flooded, and Ekstra despite rumored of being pulled out remained its local exhibition. Ekstra had its world premiere on September 8th at the Toronto International Film Festival. The almost midnight screening were sold out as well as the consecutive screenings. The film were well received and had its limited screenings in North America the following weeks. Ekstra was her follow-up to her commercially successful The Healing. It was clear that Vilma wanted to maintained her bankability but wanted to mix it with the integrity of the indie genre. And Ekstra provided the mixture of both medium, hence the word “maindie” arrived. Ekstra gave Vi her first indie best actress trohphy (Cinemalaya). Like Nora, she is positioned to give anyone a stiff conpetition to next year acting contest. Luna Awards – Vilma Santos, FAP voting members went for Nora’s Thy Womb the previous year, although they have given Nora their awards three years consecutively, Noranians have enraged some FAP members by complaining too much about Thy Womb not getting the country’s representative to OSCAR, but just based on Vilma’s performance and FAP’s choices in the past, I believe it will be Vilma next year. Despite some critics indicating some disappointments on how her film, Burgos ends -like a “TV drama,” Lorna Tolentino’s performance, was the film’s redeeming value, hence she can be the spoiler between Vi and Guy (As of Feb 2015, FAP announced that they will combined 2014 and 2015 awards into one ceremony this year. No press release yet if this event will actually happened. In lighter note, Vi was cited for her movie Ekstra. – RV). 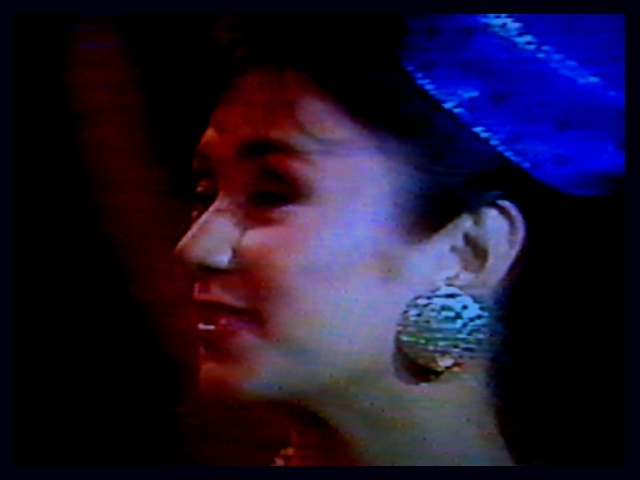 Gawad Urian – Tie: Nora Aunor and Vilma Santos. The Filipino critics are undoubtedly the most credible award giving bodies and they all love indie films. With both Nora and Vilma’s films they would have a hard time deciding which to give their trophies. There is a sure chance that they will just give the honor to both actresses but since Nora received her seventh Urian last year, it would be fair to give it to Vi this year. But a spoiler alert comes to mind, They also love Irma Adlawan for Transit (As of Oct, Vi and Guy lost the Gawad Urian Best Actress to the surprising winner, Angeli Bayani for Oscar bound, “Norte.” There are some back luck for Nora, she lost the National Artist title and her movie “Whistleblower” was not selected to compete for this year’s Metro Manila Film Festival. On positive side, Nora won the best actress at the Cinemalaya for “Justice” locally titled “Hustisya” and she also received Gawad Plaridel award, following the footstep of her rival, Vilma who received both recognition few years earlier. Nora’s follow-up indie film after Hustisya was the indie/horror, Dementia who got a commercial release but according to some press release got a lukewarm reception. – RV). PMPC Star Awards – Vilma Santos. The PMPC has some questionable winners in the last few years and in recent years they became more clearer that they are more likely to vote for Vi (KC Concepcion upset both Nora and Vilma, she won for her performance in “Boy Golden” – RV). Golden Screen Awards – The Golden Screen members are trying to imitate the early years of Star Awards and with a new format of dividing their categories into drama and comedy, there is big chance that both Nora and Vilma will end up winning. Ofcourse Vi can be nominated into both categories but it will not be practical if they will not use the opportunity to give Nora and Vilma trophies at the same time. Both of their fans would be happy with Aunor getting the trophy for Drama and Vilma for Comedy (As of Oct, Vilma received a nomination from EnPress’ Golden Screen for best performance in dramatic role while Nora missed the cut – RV). 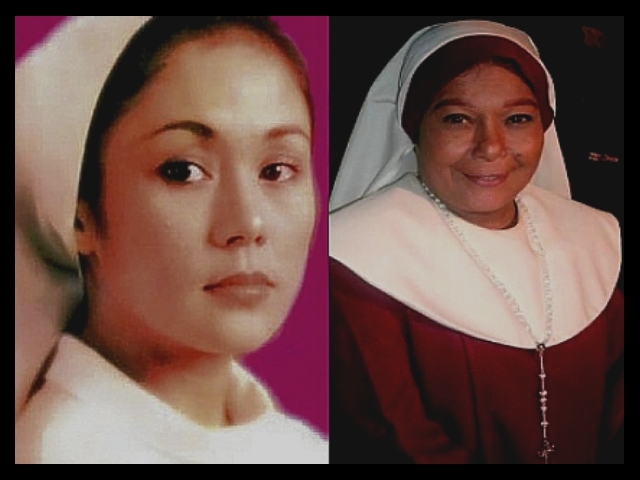 CMMA Awards – Nora Aunor’s film has CMMA written all over it. It is hands down Nora. But Lorna Tolentino’s Burgos, all for its activism that many church followers loves, may give her a stiff fight. Also, Irma’s role in Transit with its Israel as its back drop will also play the role of predicting who will CMMA proclaim their best (As of Oct, no official statement has been release but the official ceremony is scheduled on Oct 29th. – RV). Gawad Tanglaw and Gawad Pasado – These academics turned film critics honored Nora the previous year for Thy Womb. Tanglaw like Vilma more and Pasado according to most fans favored Nora. Vi will win Tanlaw and Nora Pasado (Correct predictions! – RV). FAMAS Awards – Both Vi and Guy are no longer eligible due to their Hall of Famer status. Lorna Tolentino, Cherie Gil and Irma Adlawan will fight for it’s honor with Lorna on top and Cherie as spoiler (KC Concepcion won the best actress, Irma Adlawan was ignored by the oldest group of award entrepreneurs! – RV). One day, I had a little argument or shall I say discussion with a Noranian who works at the Golden Gate park as a garden maintenance. He told me that Nora’s contribution to the Film Industry is when she stopped the tradition of having “mestiza only” system in showbizness because she made it in showbiz with flying colors even if she’s not tall, fair skin & beautiful. I told him that it was actually Nida Blanca who started the trend (although she’s a mestiza in real life) but she didn’t posseses a stand out beauty. Nida is beautiful but more on pure Filipina looks. And I also reminded him that Nora started as a singer not as an actress. Woman Power: Tradition na ang male actor lamang ang nananatiling bida at malakas sa box-office kahit may edad na. Vilma broke that tradition by maintaining big hit movies even at her 50’s. She also proves that there is a lot of good roles for her as “bida” up to now. Star and Politics in one: When Vilma rules Lipa City, people realized that actors can run a city even if he/she’s just a star and do not know anything in politics. Vilma sets a good example because she turned Lipa as one of the most successful city in the nation. Quality & Box-office Movie at the same time: Vilma can give us a good movie & make the producers satisfied with it’s box-office results. Dolzura Cortes, Bata, bata…, Burlesk Queen, Dekada ’70, Anak, Rubia Servios and a lot more are considered classic and it earned huge money at the box-office. It is considered as a great contribution to the Film Industry when you make the producers happy by giving the return of their investment, this means more business and more job for the small workers. Willing to sacrifice: She is willing to negotiate and give away a big discount from her talent fee for the sake of a good script and good film. This will help the movie industry to survive & the small artist to be productive. After I mentioned these contributions, he brought back the topic to Nora broke the mestiza, tall Pinay actress mould. I told him that this was phenomenal. But my rebuttal is…Vilma is also petite, 5 feet only. Nora’s dark complexion, eye-acting style limited her range to apiapihan roles, not credible as a modern Pinay woman. Si Vilma ay maputi, petite at mas versatile, more eloquent, believable as poor, kiri, martyr, madre, prosti, high-class. Any role kaya niya. Vilma has no college degree but that did not stop her from learning, asking questions to the experts like Brocka, Bernal, Laurice. Seeking the advice of Marichu Maceda, Atty Laxa etc. Hindi siya tamad. She is not contented to be a second fiddle to Nora. Vilma tried hard to have a direction in life. She studied in U.P.- crash course in Public Administration to prepare for her mayoral seat. When it comes to teachable attitude, Vilma has a competitive spirit, more emotionally strong than Nora, more mature. She learned fast from her mistakes. She has goals in life. Pagkatapos kong magpaliwanag ay nag-depensa si Manong. Nagkataon lang daw na Senator ang napangasawa ni Vilma at kay Nora ay isang ordinaryong tao lang (John). I told him that is exactly my point. Vilma has a game plan. She chose winners than losers. There’s Senator Ralph Recto, Connie Reyes, Tina Revilla etc. Nora has John Rendez, etc. Dahil di na maka-compete kay Vilma, bumigay na- poor impulse control, lost control, became a gambler, unprofessional, with undying rumors on substance abuse. Di na makabawi. Friends have given up. But fans? Let’s be franc – in denial big time. Night (Nora) and Day (Vilma). Vilma chose the Road Less Taken (poem of Robert Frost); hard work, dedication, education, sacrificed Vilma(show), movie career to give birth to Ryan Christian; she sacrificed movie and TV career to public servanthood (this means less pay). Di ba’t her life was threatened when she entered politics, yet she continued- she is a survivor. 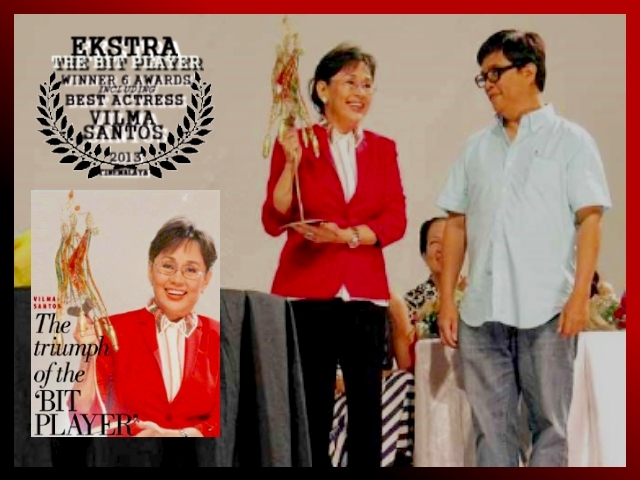 The real extra of Ekstra – “…I got to act with Vilma Santos—in her tribute to bit players like me. There’s no one like Vi,” Villalobos said. “I’m afraid to approach other stars but with Vi, when she hugs you, you can really feel her sincerity…I had to faint in one scene and—I told my children and grandchildren—it was Vi who caught me!…We don’t have guilds or unions to protect us…Raquel Villavicencio told me that Direk Loy had asked her to write a script… with a character modeled after me…” – Erlinda Villalobos, Philippine Daily Inquirer, 01 Aug 2013, Bayani San Diego Jr.
Vilma Santos accepts Cinemalaya award for Ekstra! Huh? Vilma Santos as an ‘Ekstra’? Na-enjoy raw ang experience Gov. Vilma Santos, magpo-produce ng sariling indie film?! “…Of course, holding up the film together is Vilma Santos in her first indie film. As Loida Malabanan, the extra, she’s there from start to finish. Her character is so well defined. She’s been an extra all of her life. As a young girl, she fell in love with a cameraman, became a single mom and now has a hard time sending her teenage daughter to college. The movie is one day in the life of Loida, showing her preparing breakfast for her sleeping daughter before she leaves for work, how her day goes on the set, until she returns home to her daughter the next day. Throughout the day, we join Loida in her moments of triumph (she bested another extra in an impromptu contest to be chosen to play the role of a housemaid) and humiliation (she doubles for Eula Valdes and gets mauled by Cherie Gil, she fails to deliver her lines properly in the role of a lady lawyer and was insulted by the director in front of everyone else.) Your heart will really go out for Loida. More than anything else, she’s a very caring mother to her child. She’s also very caring to the younger extras, like a teener who’s working as an extra for the first time and who she advises to focus on her career and not on romance. She was also so affected when another extra faints on the set due to hunger and another one is subjected to heavy prosthetic makeup as a zombie and isn’t even allowed to answer the call of nature, only to be told that her scene won’t be shot anymore. Cherie Gil and Vilma Santos – Mother and Daughter, Rosemarie and Cherie Gil both won a best supporting actress awards in a Vilma Santos films. Rosemarie was recognized in her heartfelt performance in Celso Ad Castillo’s “Burlesk Queen,” a best picture winner in 1977 Metro Manila Film Festival. Meanwhile, Cherie, won her best supporting actress via Eddie Garcia’s 1989 Metro Manila Film Festival best picture winner, “Imortal.” Both Imortal and Burlesk also won best actress awards for Vilma Santos. Vilma and Cherie did three films together before reuniting again in this year indie film, “Ekstra: The Bit Player.” Some highlights, both Cherie and Vi are regular staple in National Artist Ishmael Bernal’s filmography. Cherie’s most memorable Bernal film was “City After Dark” where she portrayed a lesbian drug pusher who’s in love with blind masseuse, Rio Locsin. Vi’s most recognizable Bernal film was “The Affair” or locally titled “Relasyon” where she played a sympathetic mistress of a chauvinistic teacher, Christopher de Leon. While Vi started her career as a child star, her relaunch into a mature actress was via Celso Ad Castillo’s “Burlesk Queen,” a period movie filled with sexual innuendo while Cherie Gil’s launching movie was Elwood Perez’s “Problem Child,” a modern movie filled with blatant sexual scenarios. Cherie’s other notable films were: Oro Plata Mata; Taga sa Panahon; Ito Ba Ang Ating Mga Anak; and Rosenda. Although Gil is no longer commands leading role status in films she ventured successfully into television and in recent years in stage acting, more notably in “The Graduate” and “Master Class.” Like Vi’s most memorable movie line: “Para kang karinderyang bukas sa lahat Kumain! (“You’re like a 24 hour take out restaurant, open whoever wants to eat!”), Cherie has her share of most memorable movie lines. Confronting the uprising singer in the movie “Bituing Walang Ningning,” Cherie uttered the lines to an equally combative Sharon Cuneta: “You’re nothing but a second rate, trying hard, copy cat!” Cherie is indeed someone to be cherish. Cherie Gil is in town!